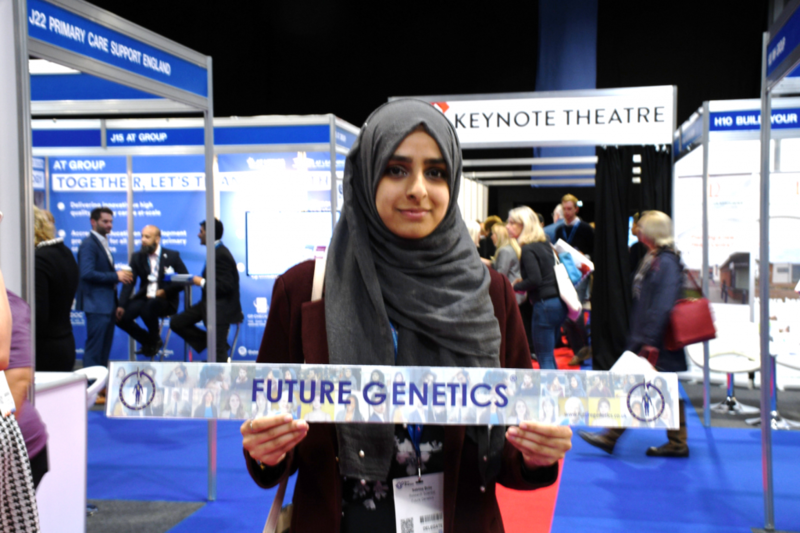 In keeping with the ethos of empowerment at Future Genetics, Dr Mohammed Kamran, who is the CEO and Medical Director of the organisation, will be participating in a panel discussion being held at the University of Birmingham, titled ‘Insights into Science: in and out of Labs’. The event is being held on Wednesday the 30th of January. This provides an opportunity for students at the University of Birmingham to gain insights into the career opportunities that are available to them and capture the experiences and perspectives of the panel speakers. The speaker panel consists of 6 members, that include 2 patent attorney and trademark specialists, an application team manager, a business engagement manager, a life sciences recruitment consultant, as well as Dr Kamran, who will provide insights into his academic, clinical trials and research and development experiences. This event compliments another event that Dr Kamran spoke at, which was the Aston University Careers Event in December 2018. For those who are interested, please click the link below. 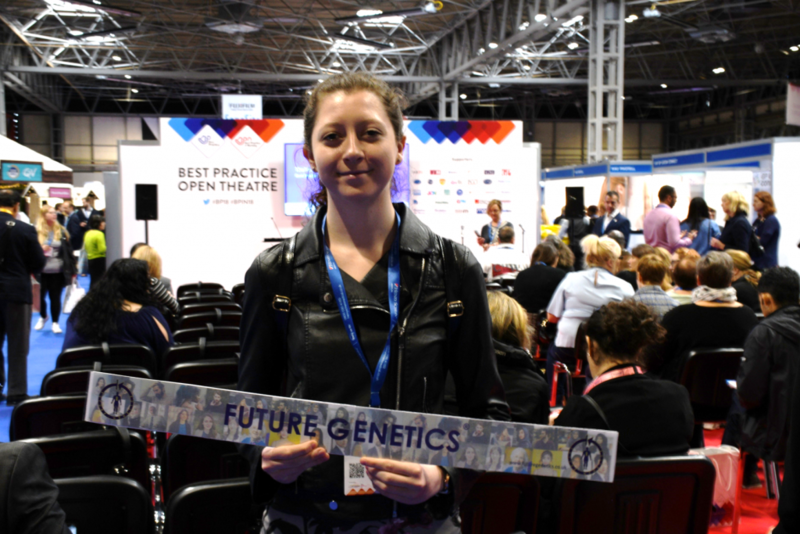 Given our relationship with the University of Birmingham, we hope Future Genetics can add value to the next generation of Scientists, Entrepreneurs and Innovators. Mental illnesses are continuously affecting individuals and families. There are a wide range of mental illnesses that fall into different sub categories. Examples of mental illnesses include Depression, anxiety, Bipolar and Schizophrenia. Everyday more and more people are diagnosed with a mental illness especially women. Mental illnesses are also becoming more frequent in the younger population. A recent study conducted in 2017 by the NHS and involved more than 9,000 individuals. The results of this study were that 1 in 4 Young women will develop a mental illness and a total of 23.9% reported having a disorder. More needs to be done around the topic of mental illnesses due to how common they are amongst the whole population. Mental illnesses are most common in young females. I believe that more needs to be done around the topic of mental illnesses due to how common they are amongst the whole population. As they are most common in young females I hope I will be able to help other young females who are suffering from a mental illness by contributing to creating awareness around this issue. There are many factors which may contribute to the development of a mental Illness in young females such as exam stress, which a large proportion of teenagers will have to face. Body image is also a significant factor. This factor is enhanced by social media which constantly promotes an idealistic image, in addition social media also causes a constant comparison against other girls. However, it is debatable whether or not social media can be solely blamed despite being a factor. Social media is extremely time consuming with nearly one third of children spending at least four hours on these apps. Those who did have a mental health problem were two to three times less likely to spend at least 4 hours on social media which shows it does have a negative impact. The ways it appears to have negative impact is by the number of likes, comparison and cyber-bullying as well. Despite this social media cannot be blamed as the only culprit. 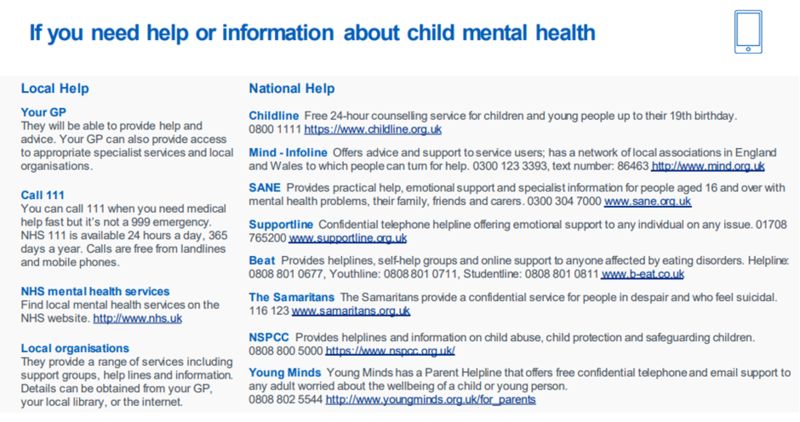 As sometimes social media can be used to support an individual who is suffering from a mental illness. 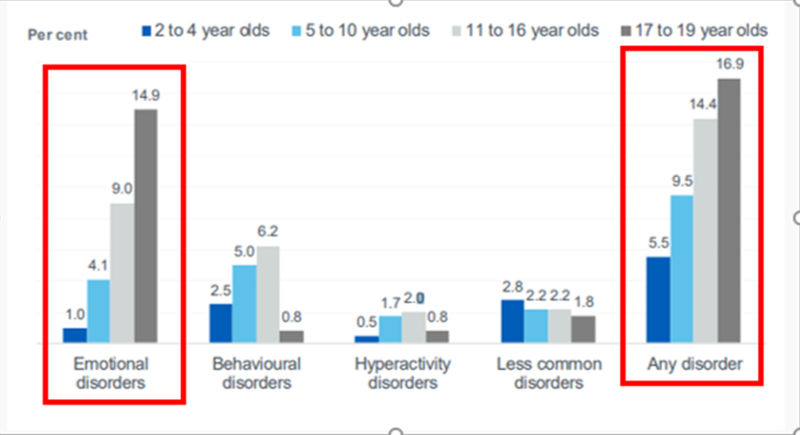 These factors are not only specific to females but males as well, especially the younger population, as 1 in 9 children aged between 5-15 are reported to have a disorder. This figure has been rising over the years as it now stands at 11.2% in comparison to 9.7% in 1999. Figures are constantly rising but not all young people are receiving the help and support they need. This is shown by how nearly a third of young individuals who were referred to community services got turned away. Even those who received help had to wait an alarming average time period of 2 months. 32% were waiting for treatment at the end of the year and 15% had to wait over 6 weeks to even be seen. This needs to change, young, at risk and vulnerable children should not have to wait these time periods to receive treatment or to be seen. Arthritis is an illness which affects numerous people and it results in the inflammation of the joints. It can affect one or multiple joints. There are several different forms of arthritis. Approximately 350 million people have Arthritis worldwide, with a total of 10 million of these people are living in the United Kingdom. This illness is treated by the use of a number of different drugs including a drug called Adalimumab. A protein called tumour necrosis factor (TNF) is produced by the immune system naturally. However, in arthritis, the inflammation is caused by a protein called tumour necrosis factor (TNF) being overproduced. Adalimumab is a monoclonal antibody that acts as a TNF blocker. It it works by binding to the TNF molecules. The action of binding then prevents the molecules of TNF attaching to the body’s healthy cells. This then reduces inflammation of the joints. 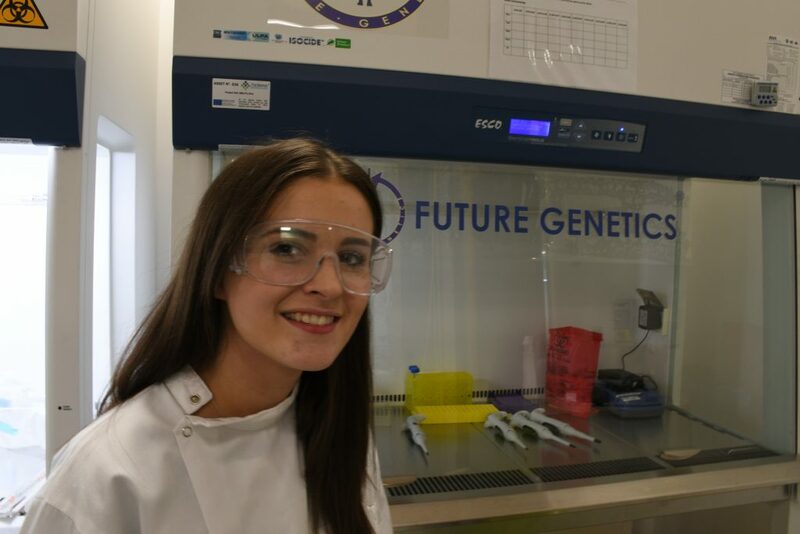 My name is Lucy Field and I am a research Scientist at Future Genetics. I have just read an article that focuses on the development of a new drug which treats Arthritis. The new drug is a biosimilar version of Adalimumab. The development of this new drug has a positives impact on the NHS and their budget. The reasoning for this is because Adalimumab was a medicine that Hospitals spend nearly £400 million a year on making it a relatively expensive medicine. The new biosimilar version will only cost a quarter of this amount allowing the NHS to save up to £300 million a year by 2021. This outstanding cut from the national annual medicines bill is the biggest NHS saving from a single drug negotiation. The money from this saving could be used to employ 11,700 more community nurses or 19,800 more breast cancer treatments for patients which could potentially save the lives of thousands of women. This highlights the importance of biosimilar drugs and how a smarter approach to biosimilar drugs across Europe gives patients and taxpayers a better deal. The saving is due to negotiations with 5 new drug companies who will manufacture bio-similar versions of the dug. These companies are Amgen, Biogen, Mylan/Fujifilm Kyowa Kirin, Sandoz, and AbbVie. This comes after the exclusive patent for Adalimumab (Humira) expired. From December onwards, the new biosimilar versions of the drug from these new companies should be available. According to the NHS 9 out of 10 new patients should be started on the best value medicine 3 months after the launch of the biosimilar medicine. Data, to some, can be overwhelming to comprehend. With the prospect of data sharing and ensuring teams have the right people and support, data can lead to great changes and improvements in a number of different fields, across a wide scale of investigational areas. My name is Sabrina and I am a Research Scientist at Future Genetics. On the 14th of November, Springer Nature held the ‘Better Science through Better Data’ event in London at the Natural History Museum. The event consisted of a series of thought-provoking lightning talks as well as an international line-up of keynote speakers. The main theme of the event was the role and impact data has and can have on the future of science and research. The advantages data sharing could have in the world of science are endless. Not only will that particular professional gain scientific credit amongst a huge audience, but they are also giving something back to the science community, as it could mean new approaches to problems, improvements upon identification of diseases (which in turn could improve the effectiveness of treatments). It could also allow reporting and acknowledgement of novel bio markers and in some cases, adapting the data to accommodate an entirely different investigational study. Data can also be used to build on ideas and methods, as well as open doors to new collaborations and analysis. The question arises of how data sharing can affect the patients or subjects from whom data is acquired from. There is uncertainty around the privacy of patient information and the risk of data being traceable and identifiable. As a Scientist, patient confidentiality and privacy should be a primary concern, as part of Good Clinical and Good Ethical Practice. Compromising patient privacy and trust is non-negotiable, regardless of the potential benefits data sharing may have. This is just one of the many considerations that must be taken into account before exposing data. Presently, the requirements for sufficient data management are often unmet and various surveys have shown this is because of a lack of knowledge or support, rather than a lack of technology. Therefore, to tackle this problem, some teams have appointed a data steward at every facility of theirs, who can offer this support and assist the team in various ways, including; training, advice, tools and archiving. The Data Steward is more equipped at handling and managing data, whilst being realistic about making incremental changes which in turn will ensure requirements are met. The use of data is so widespread, ranging from education, to research, to guidance. So although it may seem bothersome, it is clear that Better Data could in fact lead to Better Science. Times are changing. Cancer is changing. The number of people surviving 10 years or over past their original cancer diagnosis is accelerating. However, the quality of life (QoL) of these patients/survivors is far from a life of ease; as it is during this time that patients can face the unfortunate consequences of their cancer and their treatment. These consequences are often overlooked and can have a significantly negative impact on the well-being of the individual. My name is Sabrina, and I am a Research Scientist at Future Genetics. Last week, I attended one of the key NHS Primary Care conferences, which was held at the National Exhibition Center. I attended several interesting talks, and there was one that stood out in particular. Dr Anthony Cunliffe, a Macmillan National Lead GP Adviser, spoke at the NAPC Annual Conference 2018 last week regarding the ‘Management of the consequences of cancer and its treatment in Primary Care’. He began by telling the audience about his late mother’s cancer journey; including the screening, diagnosis, treatment, symptoms and follow up treatment. Although his mother managed to beat both breast and bowel cancer, the life she led following her treatment was extremely poor.She was offered limited support and the GP was not fully aware of how the cancer, despite being gone, was still affecting her life. Raising awareness of the importance and the extent of these consequences of cancer can have a great impact on the understanding and care provided by primary care teams and consequently the QoL of cancer patients/survivors. For this to happen, primary care teams must consider not only the physical needs of the patient, such as managing unwanted side effects, co-existing conditions or risk of recurrence. They should also consider the practical and personal needs, such as; mobility, cooking and personal care. Presently, these needs are often unmet due to several reasons, for example; lack of clear communication between primary care and patients or limited knowledge or confidence in identifying and managing the consequences of cancer/treatment. Patients deserve to have a decent QoL and just as with any other condition, a better understanding is a step forward towards more effective care. At Future Genetics we are focusing on a number of key disease areas, including cancer, given the devastating consequences of these illnesses.